Double, Peninsula or Single teachers desk are a longstanding favorite upgraded with features like built-in inverted casters to move effortlessly as needed. 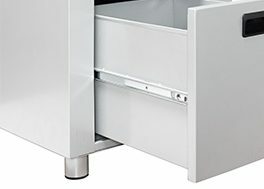 Single or Double drawer pedestal has built-in lock and pull-out suspension. Mesh Modesty panel for teacher comfort. Thick gauge steel, heavy duty hardware and durable construction for years of use. 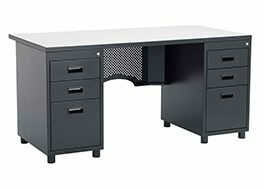 This traditional teachers desk features a 1420 sq. inch work surface, two drawers and one file drawer on the pedestal. One-on-One with students? This desk features a 2163 sq. inch work surface perfect for teacher-student interaction as well as two drawers and one file drawer on the pedestal. Need more space? 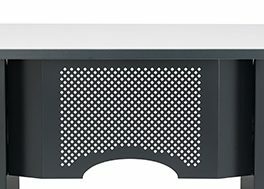 This desk features a 1788 sq. inch work surface, two drawers and one file drawer on each of the two pedestals. 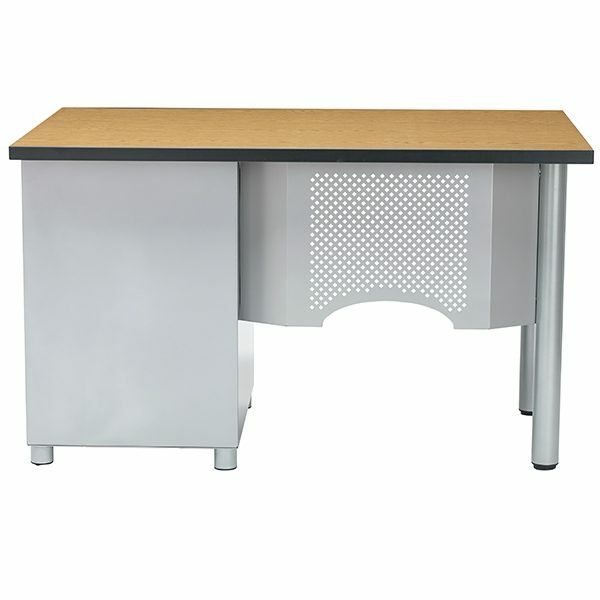 The Double, Single and Peninsula desk come with a standard 18-gauge perforated steel panel that extends 15" to contribute to teacher comfort while sitting. Add a power port for a convenient place to charge your gadgets. Perfect to place projectors! 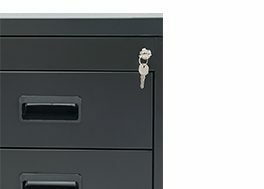 Two standard drawers and one file drawer to lock up exams and personal belongings safely. Ball bearing file drawer facilitates a smooth open and close. 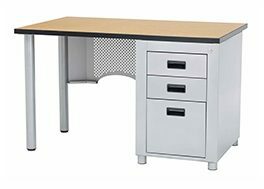 Three teachers desk for any kind of classroom, two frame finished and countless desktop choices. Explore the series. With unique built-in inverted casters, the Nate Jr can be moved around the classroom to adapt to the ever changing teaching styles. 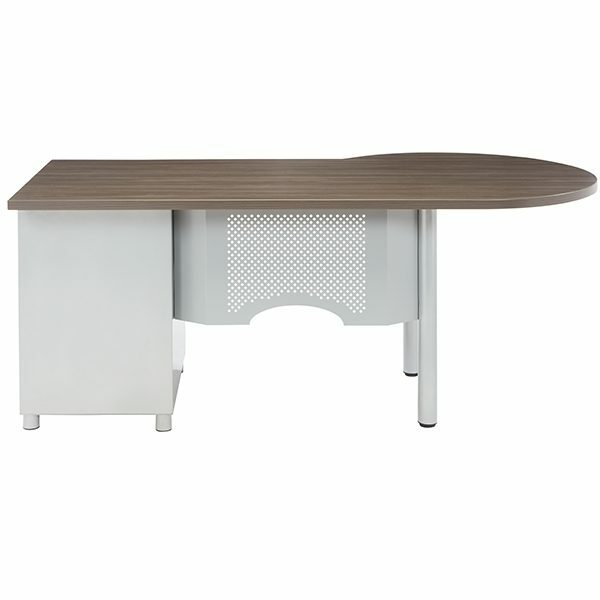 The standard 6" overhang is great for teacher student conferences. 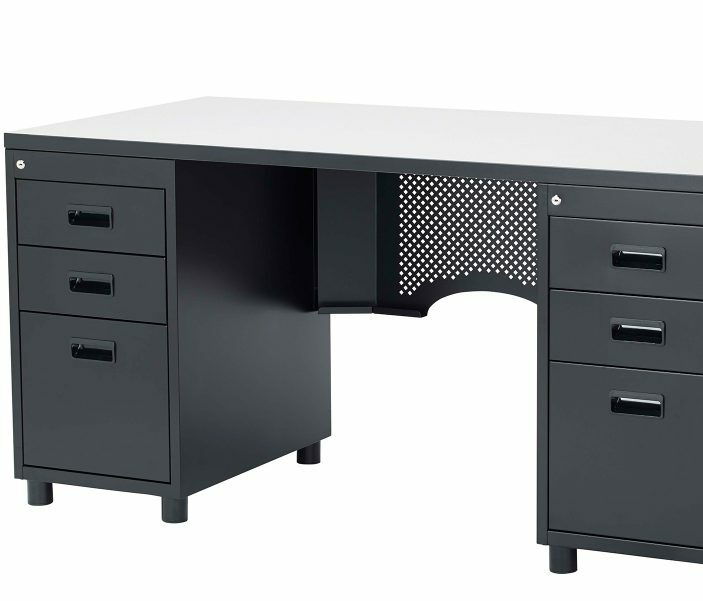 Stunningly sleek, this magnificent teacher’s desk has raised the bar of beauty, innovation and adaptability in the industry. Roomy, locking storage and file drawers. Special casters allow return to swing in or out with ease. Modesty panel for teacher comfort. 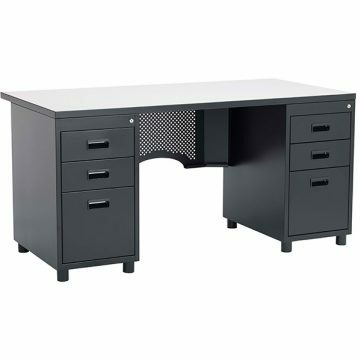 Thick gauges of steel, heavy duty hardware and durable construction will ensure this desk will last for years of use. 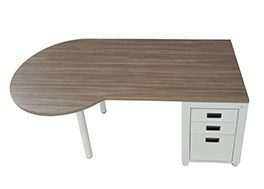 Tabletop: 11⁄8" fiberboard with high pressure laminate surface. The edge of the work surface features black PVC edge banding and 6" over-hang for easy teacher/student conference. Tabletop is 30" x 48". 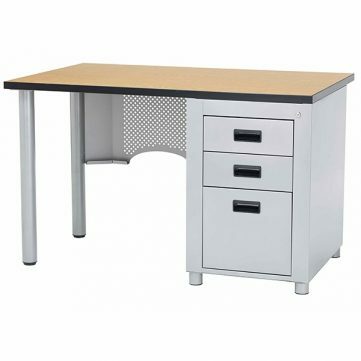 Pedestal: Power coated steel pedestal with 2 drawers and 1 ball-bearing file drawer. With 2 inverted casters on the pedestal end to accommodate easy maneuvering. Legs are two 23⁄8" diameter, powder coated, 16 gauge steel legs. Modesty Panel: Powder coated 18 gauge steel. Optional Items: Keyboard Tray, Pencil Tray, Power Supply. 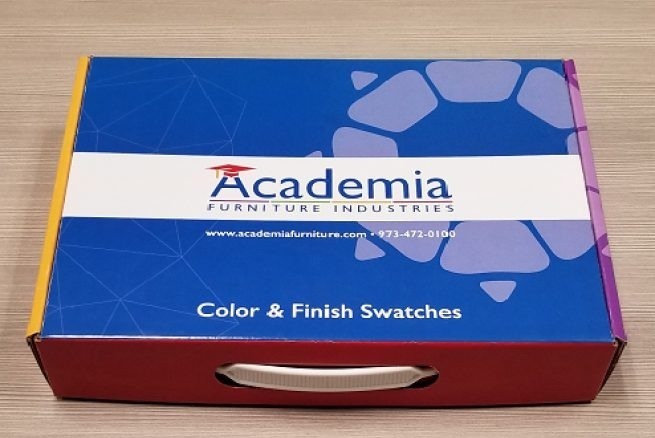 Tabletop: 1 1⁄8" fiberboard with high pressure laminate surface. The edge of the work surface features black PVC edge banding and 6" over-hang for easy teacher/student conference. Tabletop surface is 30" x 60". 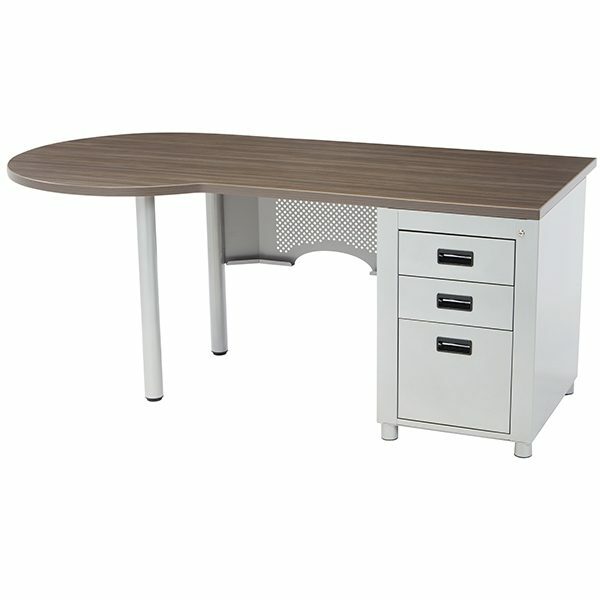 Pedestal: Two Power coated steel pedestal with 2 drawers and 1 ball-bearing file drawer. 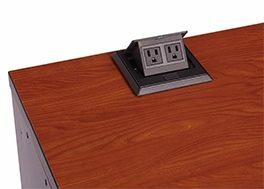 Tabletop: 1 1⁄8" fiberboard with high pressure laminate surface. The edge of the work surface features PVC edge banding and 6" over-hang for easy teacher/student conference. Tabletop surface is 36" x 72". 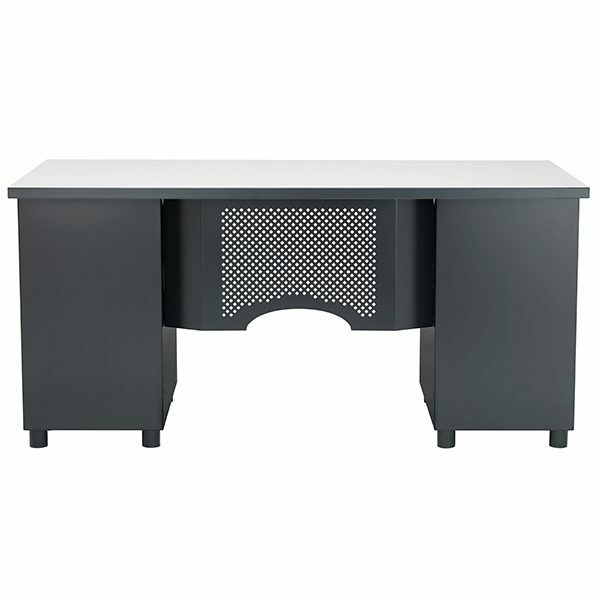 Pedestal: Power coated steel pedestal with 2 drawers and 1 ball-bearing file drawer. With two inverted casters on the pedestal end to accommodate easy maneuvering. Legs are two 2 3⁄8" diameter, powder coated, 16 gauge steel legs.